About Our Motorcycle Buyers at Sell Us Your Bike! We buy all makes and models of motorcycles, ATVs and most powersports vehicles from owners and dealers across the country. Also we have buyers picking up and transporting from Michigan, Atlanta Georgia, two locations in Florida, Ohio and Southern California. In addition they travel along main thoroughfares several times a week including east coast states like; New York, Pennsylvania, Virginia, North and South Carolina, and others. 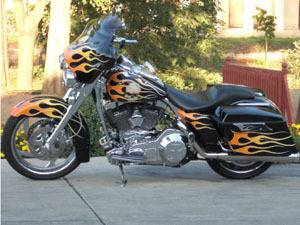 Get a Quote Now From Our Motorcycle Buyers!